Starring Ishaan Khatter and Malavika Mohanan in principal roles, Majid Majidi's Beyond the Clouds hits screens on April 20. Here's whether or not you should watch the film. Aamir (Ishaan Khatter) and Tara (Malavika Mohanan) are siblings raised in sheer poverty. At some point in time, they had chosen different paths to lead their lives only to bump into each other at a life-altering juncture. Tara is a divorcee now, who works at Mumbai's dhobi ghat. Aamir, on the other hand, dreams of making it big, using the shortest way possible he could think of - selling drugs. But an incident changes everything, messing their already complicated lives further. 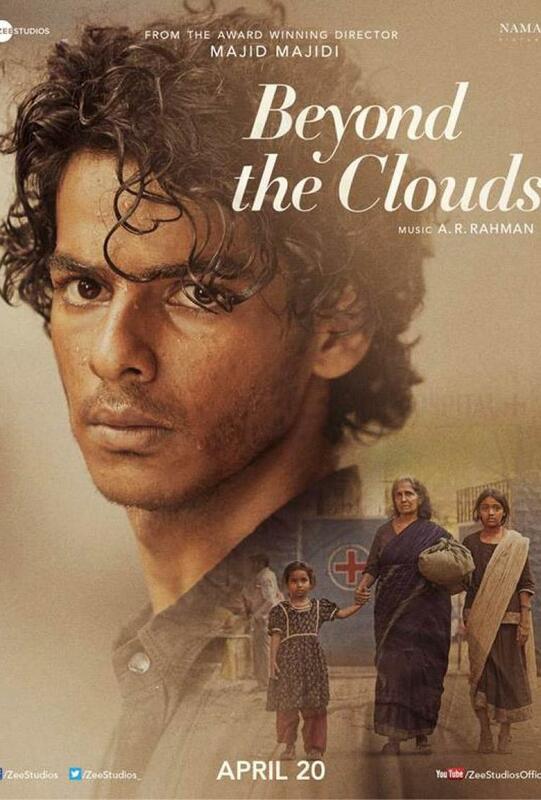 Beyond The Clouds marks the acting debut of superstar Shahid Kapoor's younger brother Ishaan Khatter. People generally do not pin a lot of expectations on a debutant, but that was not the case with Khatter. Besides his brother being one of the most successful actors of the current generation, his parents are also popular artists, so a lot of eyes were hooked on the young lad. And, surprisingly, he delivers. Despite beyond The Clouds being his debut vehicle, Ishaan shows performance of an experienced actor. His screen presence is good, which is expected to get even better in his second outing Dhadak. Overall, he has got everything that it takes to play a long inning in Bollywood. Talking about Malavika Mohanan, she is decent in the movie. She plays her part well. Her experience comes handy at many places where she gives full competition to Ishaan. Having said that, the film belongs to Ishaan. Beyond The Clouds is directed by celebrated Iranian filmmaker Majid Majidi. Making a film which has its premise set in the world you have inhabited is considerably easier than stepping into a zone which you never belonged to. The latter happens with the distinguished director. His film is set in slums of Mumbai. It deals with characters the director may have never encountered and hence his film is such that lacks the touch Majidi’s films are known for. The premise of his movie is promising, but it is weighed down by average writing. His direction is good though. Technically, Beyond The Clouds is just a decent film. Cinematography of the film is good but editing is not crisp. The film drags a lot in the second half. That is not a good thing about it. The movie does taste your patience more often than not. Background score is outstanding. Production value is up to the mark. The soundtrack of the film has been composed by Oscar winner A.R Rahman. The track ‘Ey Chhote Motor Chala’ is the only song which is there in the album, but is not the part of the movie. If you like to watch films which do not usually take the same route Bollywood films are known for, Beyond The Clouds might turn out to be an interesting watch for you. If commercial potboilers are what you cannot live without, it is not well worth your time. Producer Shareen Mantri Kedia praised for her vision with Beyond The Clouds! Ali Abbas Zafar confirms that Sunil Grover has a pivotal role in Bharat! Deepika Padukone becomes the only Indian actor to feature in TIME 100 Influential People of 2018 List!